TODMORDEN Orchestra cellist Miss Frances Moorhouse and Mr Mark Banks were married at Todmorden Unitarian Church on August 20. The bride is the youngest daughter of Mr and Mrs John and Jennifer Moorhouse, of Harvelin Park, Todmorden, and is a human resources and payroll officer at Weir Minerals, Todmorden. 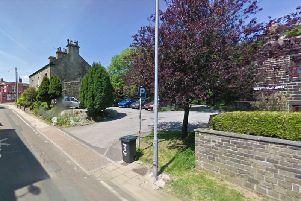 The bridegroom is the eldest son of Mr and Mrs David and Beryl Banks, of St John’s Road, Newbold, Chesterfield. He is a production superviser at Weir Minerals. Given away by her father, the bride wore an ivory silk dress by White Rose and a pearl headdress. She carried a bouquet of white akito roses with lilac phlox, ivory freesias and gypsophila. Bridesmaids were her sister Ms Emma Owen and friends Mrs Sally Mawson, Miss Stacey Nicholl, Miss Emma Kiernan and Miss Lauren Fielden. The best man was the bridegroom’s brother Mr Dale Banks and ushers were the bride’s brothers Mr Charles Owen and Mr Desmond Moorhouse. After a reception at Eaves Hall, near Clitheroe, Lancashire, the couple left for a honeymoon in Thailand, They will live in Walsden.